There has perhaps been more attention paid to affordable housing this year than any in recent memory, but it took a tragedy to make it so. 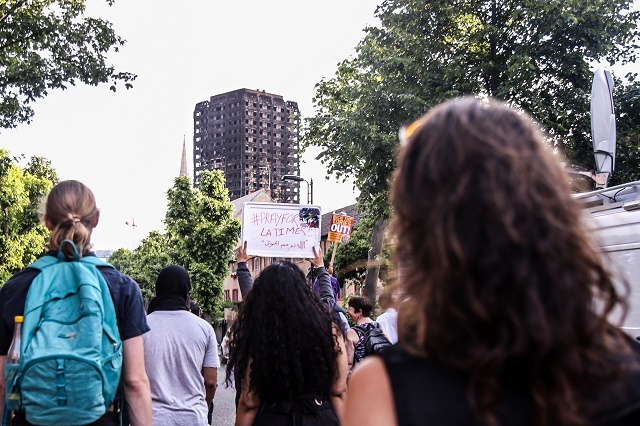 The horror of Grenfell Tower touched off a national conversation in the United Kingdom about inequality and the ways urgent community feedback gets lost in government bureaucracy. But more broadly, it is symptomatic of the insufficient attention given to affordable housing everywhere as the world becomes more and more urban. A third of all urban dwellers worldwide – 1.2 billion people – lack access to safe and secure housing. The gap is worst in lower- and middle-income countries, where some cities are growing so quickly that governments cannot build out services and infrastructure fast enough to accommodate new arrivals. The result is millions living in inadequate conditions and fraying trust in governments. Similar stories play out every day in cities around the world. In March, a landslide at Ethiopia’s largest dumpsite killed at least 65 people as it flattened precarious houses built on top. And during the run-up to the 2016 Olympic games, Rio is estimated to have displaced up to 60,000 people to make way for new facilities, highlighting the vulnerability of people in Brazil’s favelas. If current trends continue, by 2025 as many as 1.6 billion people around the world will lack access to affordable, adequate and secure housing. As urban populations grow, the housing gap will widen, exacerbating inequality and threatening the traditional view of cities as reliable drivers of economic growth. These are the conclusions of our WRI Ross Center working paper on the housing crisis, part of a larger report on how to make cities more equal, safer and healthier places to live. This is an urgent challenge that will affect cities in all countries as we trudge towards a world of more than 9 billion people, 60 percent of whom will live in urban areas. Even as it may look different from place to place, a bottom-up approach to fixing the housing gap and other related urban problems is one to be emulated. Organizations like Slum/Shack Dwellers International (SDI) are working on similar participatory approaches elsewhere in Asia and Africa. SDI helps organize a network of thousands of urban poor “federations,” giving them access to lines of micro credit, stopping evictions and generally helping them voice community concerns in crowded and contested political spaces. Other examples include the Baan Mankong Collective Housing Program in Thailand, led by the Community Organizations Development Institute, and the Orangi Pilot Project in Pakistan, which has developed low-cost, community led-approaches to sanitation. Context matters. The precise approach will be different for each geography, but we must find ways to preserve and encourage community and embrace everyone’s right to the city. These lessons are salient in neighborhoods and cities throughout the world, from Lagos to London, Paris to Pune.